I'm back with another Pinkfresh post today friends! 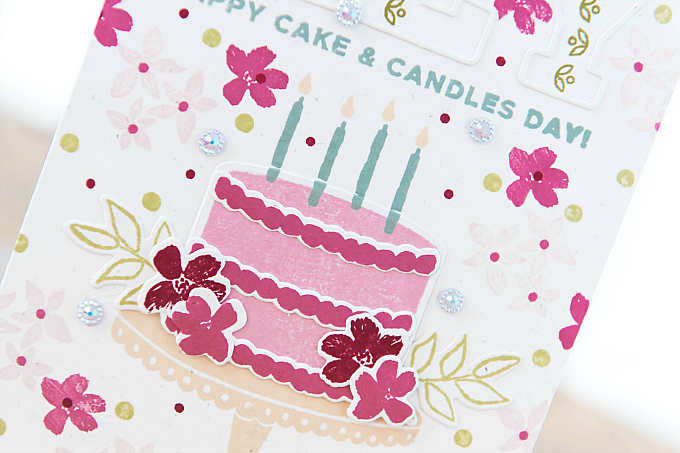 I wanted to share a little more subtle version of the card I shared yesterday, because I think it perfectly captures why I love stamping so much. With just a few swipes of ink, it's so easy to get an entirely different feel using the exact same ingredients. 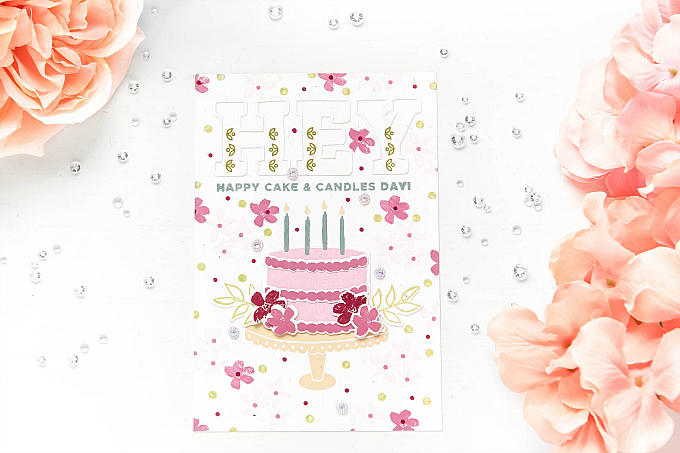 Today, my card features more Make a Wish details, along with some touches from the Embroidered Blossoms set and the pretty Adore Alphas. I used a combination of flowers and dots from the Make a Wish stamp set and Embroidered Blossoms to make my background. I left the small space where I would add my letters and sentiment bare, so that I could easily add those in later. 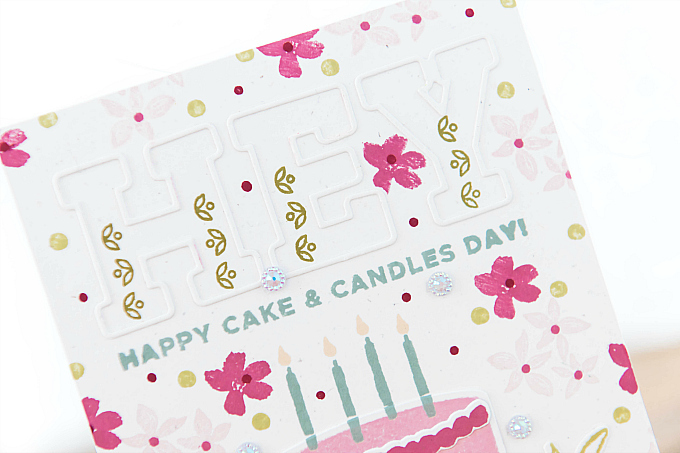 For the letters, I used only the outline die-cut of the pretty Adore Alphas, as well as the detail stamps that come with the set. I love how many different looks you can achieve with this duo. 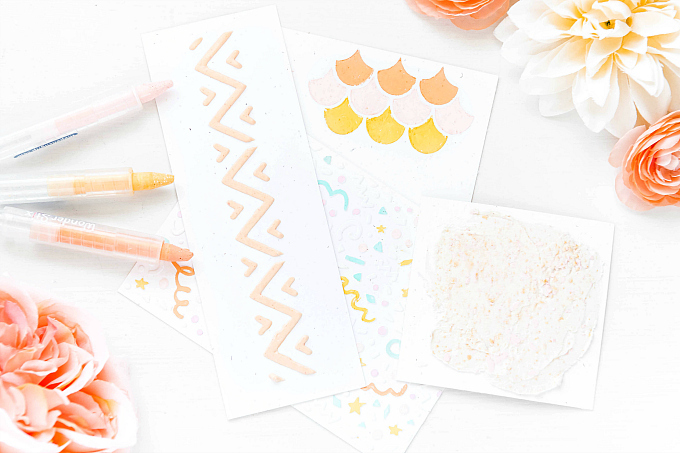 To see all the ways I've used these stamps, check out my 10 Ways to Letter post! For the cake, I went with a more elegant version, swapping out the numbered candles with the regular ones, and using Embroidered Blossoms florals along the bottom of the cake. The remainder of the sentiment is from the Make a Wish set, too. Tell me, which design do you like better? I'd love to know! 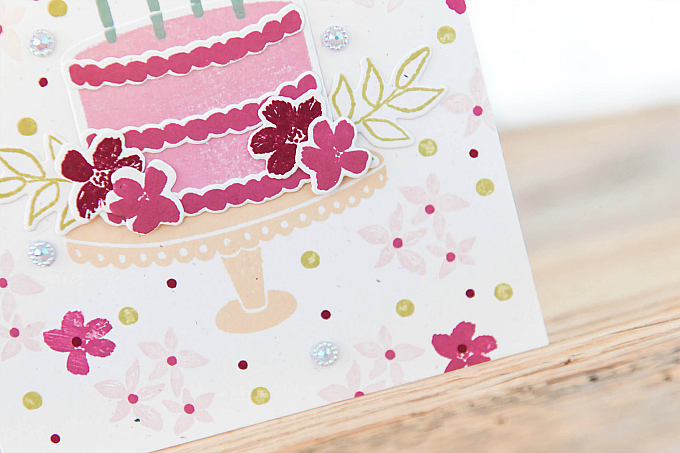 Feeling inspired to give your supplies a twist?! Share it with us! 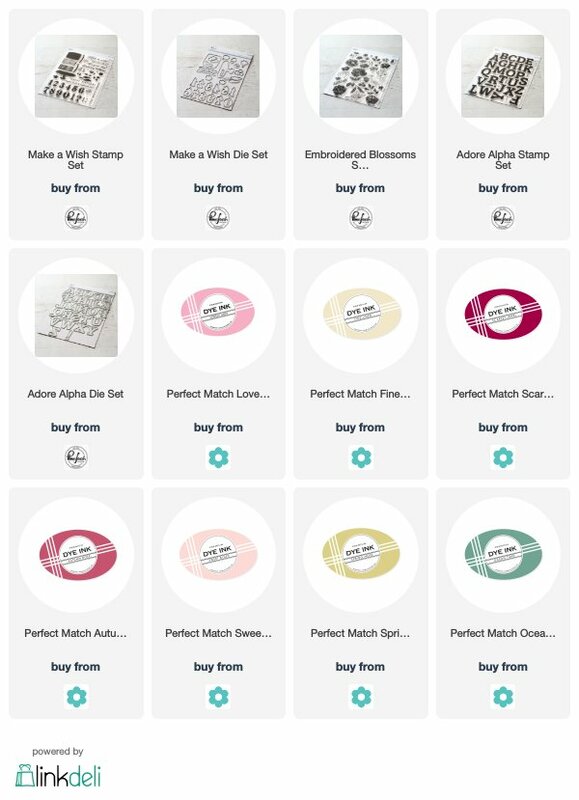 Also, you can click below to check out the gallery and all the gorgeous pretties Aneta from Arisant has shared! They're so, SO stunning! Oh, I like this! 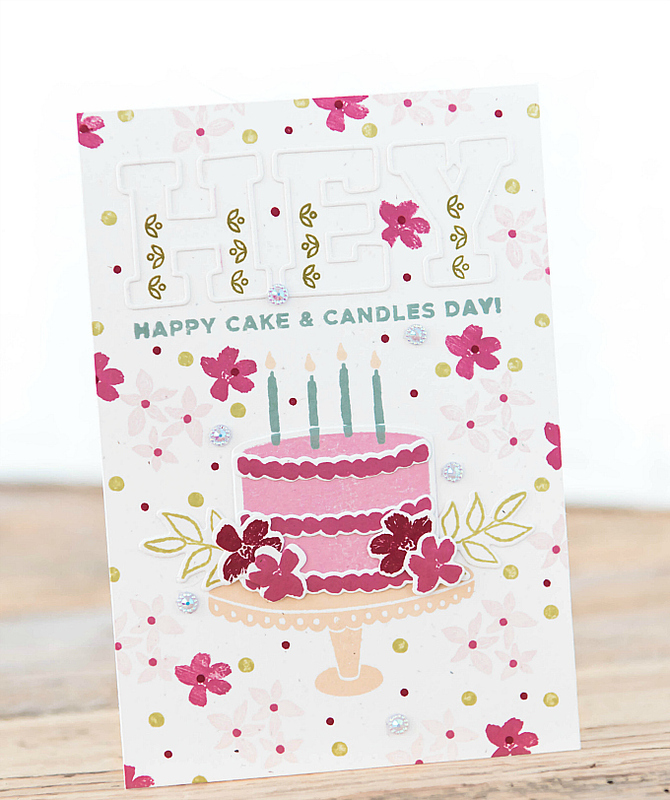 The flowers dancing in the background are just wonderful with that pretty little cake!